I have recently updated our Buy Wholesale page to include a more in depth description of our harvesting process and our shipping abilities. Walking the fields twice by different people to check the quality of the trees tagged for harvest. Upgrading #2 quality trees so everyone can afford a real tree. Adding 2 ponds adjacent to the loading bins so trees are watered sufficiently like “fresh flowers”. Posting current pictures and videos of your trees on our website. Increasing communication during shipping and harvest via fax, telephone and e-mail. Sam Cartner’s vision, since 1959, has always been to “grow a tree to decorate” and to ship the cleanest, greenest and freshest trees possible. 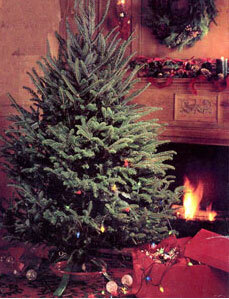 We are certain our Fraser Firs will exceed your expectations, proving to be a great success for you. Please call if you have any questions, need any additional information or references. We look forward to the opportunity to serve you.